I’m spending this Labor Day weekend lazing around and helping Steve recover from the hot, sticky, horrid Rock ‘n’ Roll Virginia Beach Half-Marathon, which he valiantly finished on my behalf, and which I am deeply glad I did not have to run myself. The heat and humidity made us both rejoice in the fact that fall is almost here, bringing honeycrisp apples and butternut squash to our local farm stand and deliciously cool camping trips to our schedule. 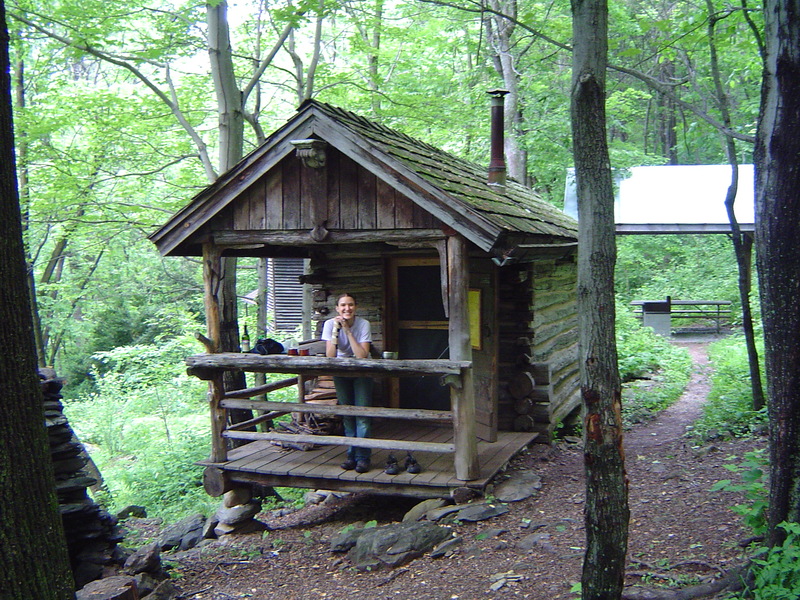 We’re planning one for October to one of our beloved PATC (Potomac Appalachian Trail Club) cabins, and the trip sparked a story idea for which I need your help. One of my beloved PATC cabins. I’m writing a story about the 10 best North American backcountry cabins, or rustic (read: no electricity) cabins that you can hike to (or bike to, or canoe to) and sleep in. I’ll be including one or two PATC cabins, but I’m looking for more. Got a suggestion? Post it below to earn my deep and eternal gratitude! Nice cabin! I would love to visit something in that nature…. Amy, what cabin is this? I’ve stayed at Corbin Cabin and Sugar Knob Cabin. This looks like it would be great for just 2. I have spent many peaceful weekends at Pocosin Cabin, a short hike along a fire road at mile marker 59. A one room cabin, which can sleep up to twelve people, the deer come right up to the clearing in front of the cabin. My Girl Scout troop has been PATC cabin hopping for several years now. our only rule is it must be primitive! So far, we’ve hit Corbin, Doyles River, Myron Glaser, Meadows (we turned the power off! LOL), and Rosser Lamb. My favorite is one I haven’t lucked out enough to be able to reserve on weekends for my GS troop, but my family has enjoyed–Mutton Top. The cabin is absolutely gorgeous and the view is like you’re on top of the world. Some of my friends and I rented Tulip Tree Cabin in Jan. If you go on the PATC Facebook page, I posted alot of pictures there of it. It has a woodstove AND a fireplace!